Calligraphy - meaning the art of beautiful writing, has been used in various forms since ancient times. From ancient Greece and Rome to the Middle Ages, calligraphy was seen as both a skilled art and the main source of written communication and expression until the invention of the printing press. Calligraphy today is increasingly popular and is enjoyed by professional and amateur artists from all over the world. Winsor & Newton have used their expertise in the production of fine inks since the 1890s to create a wide range of 18 colours which are brilliant and lightfast, allowing today's calligraphers to continue to create this important and flourishing art form. For more information click here. To view all colours in this range click here. 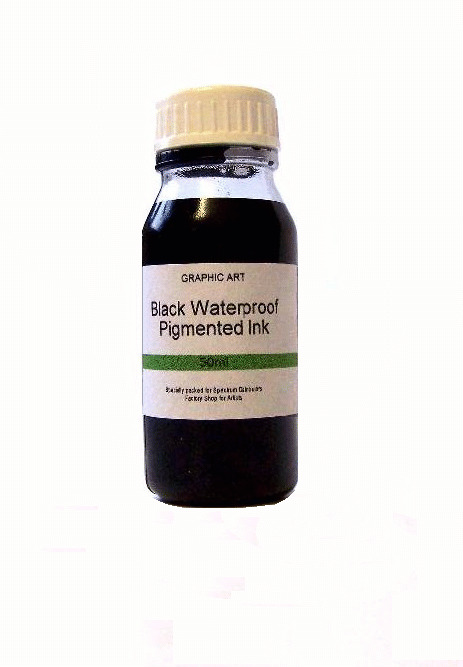 Spectrum Pigmented Ink is an extremely fine quality waterproof and fadeproof ink. It is the preferred choice of The DUT's Department of Garaphic Art. Available in 50ml black only.